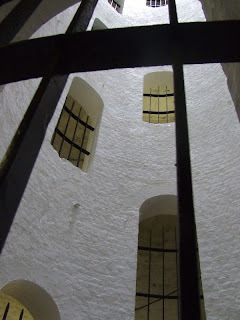 The Grand Shaft was designed by military engineer General Twiss, and built in the first decade of the 19th Century. 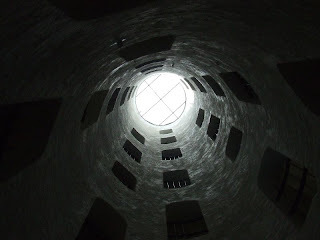 It takes the form of a triple helix staircase (providing three sets of steps in the same shaft) with a central light well. 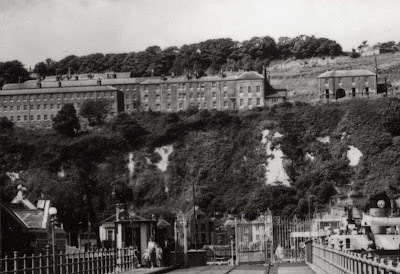 The 140ft deep shaft provided pedestrian access to the Western Heights fortress, in particular the Grand Shaft Barracks, from Snargate Street at the foot of the cliffs. 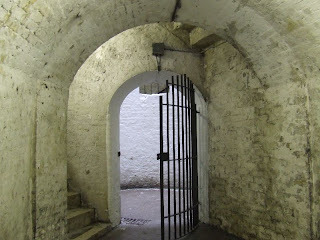 A tunnel leads from the bottom of the shaft to a guard room in the street. 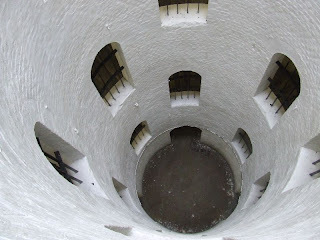 The three sets of stairs contained within the shaft are said to have been dedicated for 'Officers and their ladies', 'Sergeants and their wives', 'Soldiers and their women'; but the original reason would have been to deploy as many troops as possible in the time of an attack. 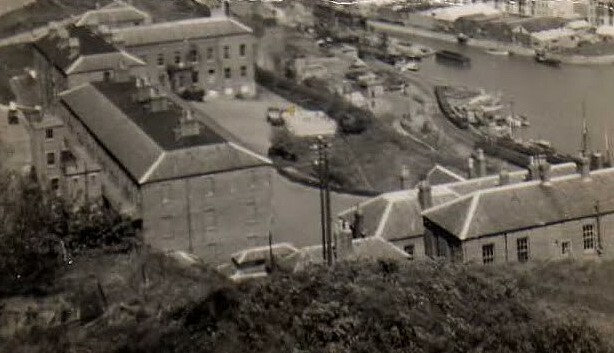 The barracks were unfortunately demolished in the 1960s and the shaft fell into a dilapidated state. 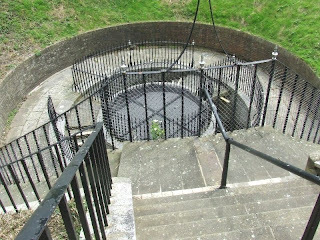 Fortunately, the Shaft was fully restored during the 1990s, with a new guard room built at the bottom. 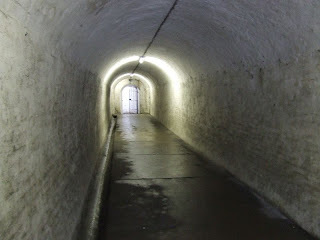 Although owned by Dover Council, the Shaft now remains under the care of the Western Heights Preservation Society, who open it to the public on special days throughout the year, the barracks site can be visited at any time.